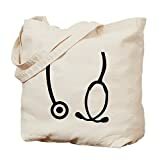 According to the RCGP website, you need to take some of your own equipment to the MRCGP CSA exam (with the notable exception of a sphyg). If you’ve left it to the last minute, Amazon Prime offers next-day delivery on many of these essential items. If you don’t already have one, you can find the BNF for sale here, available with next-day delivery via Prime. Don’t forget to ensure you have an up-to-date copy. Likewise, you can find the Children’s BNF with next-day delivery here. 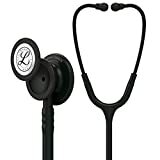 Check out our stethoscope category for in-depth reviews. 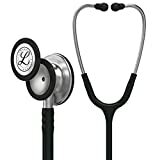 If you just want to click and go, try the Littmann Classic II, Littmann Classic III or – if you want to be fancy for the exam – the Littmann Cardiology IV. We like the versatile Welch Allyn Professional Diagnostic Set, which includes both auroscope and ophthalmoscope. Keeler also produce a similar ophthalmoscope and auroscope kit. Don’t forget to take some auroscope tips. You can buy a whopping 850 Welch Allyn covers here. Take whichever kind of thermometer you are used to, because there’s nothing worse than fumbling with a new one during an exam. In ear thermometers are generally thought to be more accurate. We particularly like the no-nonsense, reliable Braun Thermoscan. You can buy tips to go with it here. An essential, especially for cases including suspected DVT and for assessing discrepancies in leg length. Buy one here. 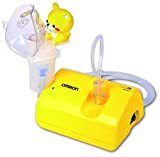 The CSA can include tasks that are often delegated to practice nurses, including asthma reviews. Be sure you are confident with using a peak flow meter before the big day. You can buy one here, or as part of a handy package including 20 disposable mouthpieces here.